Equally inspired by the efforts of a friend to barrel-age a rum in his home bar and this post by Inu A Kena on his efforts to solera-age J Wray & Nephew overproof rum, I have bought my own barrel. 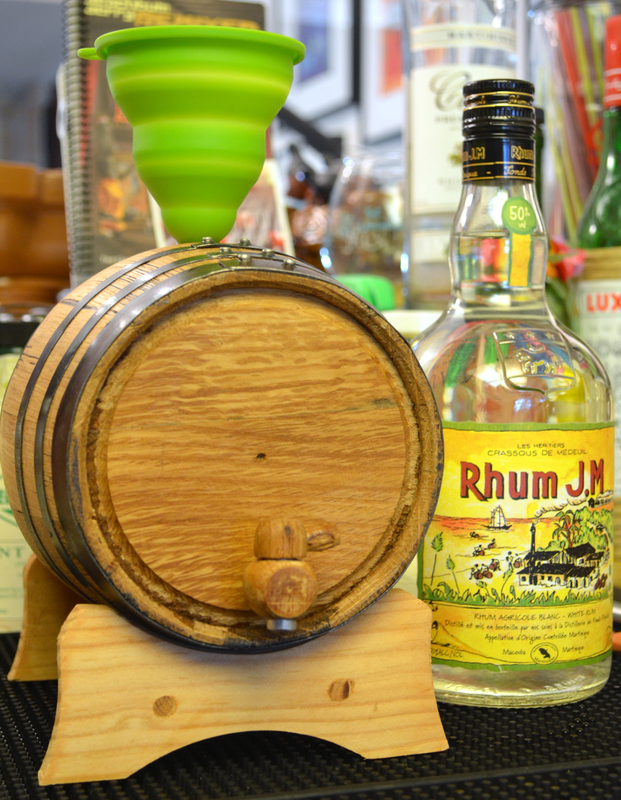 I poured 1 liter of Rhum JM Blanc into that barrel today, in an experiment to age that rhum into a rhum vieux (old, or aged rum). This is the same rum I spoke about in E5. I'm starting with a rum I already enjoy, and testing my patience to see how it does with a few months (or weeks) in a barrel.